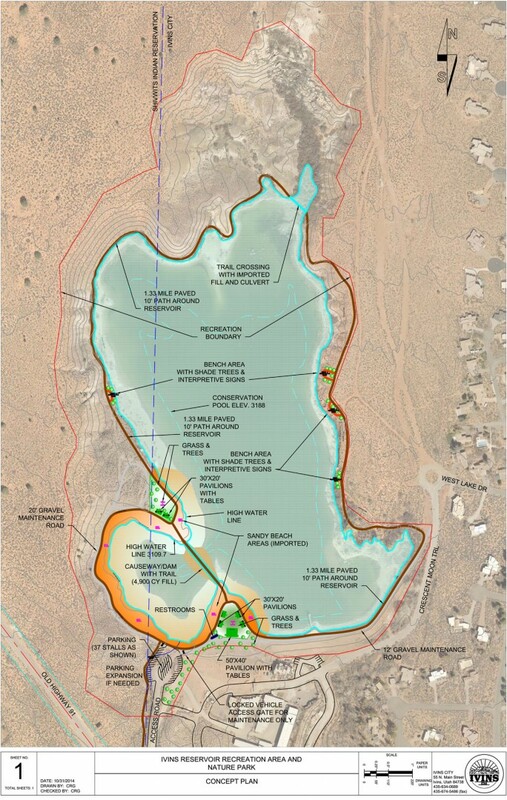 IVINS – An open house was held Monday evening at the Southern Utah Veterans Home at which Ivins City officials presented plans to residents to dramatically improve both the appearance and usability of the Ivins Reservoir. 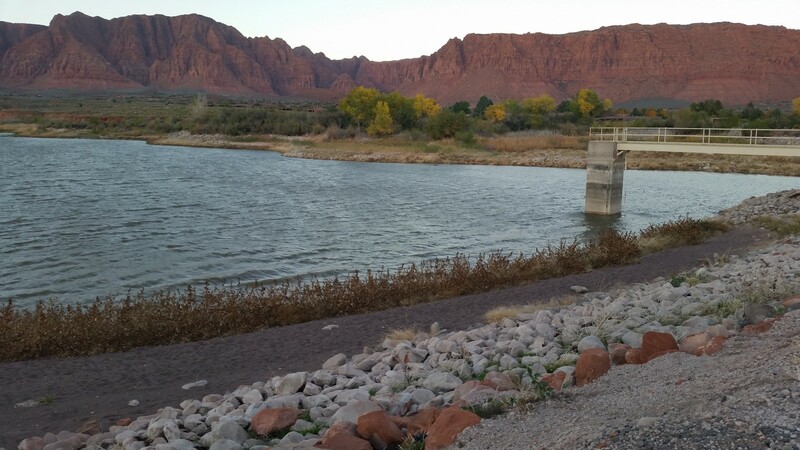 The Ivins Reservoir is located just off Highway 91 between Ivins proper and its Kayenta Community, and straddles the border between Ivins and the Shivwits Reservation for the Paiute Indian Tribe of Utah. The project has been in the works for several years, and is being planned jointly with Ivins City, the Washington County Water Conservancy District, the Shivwits Band of Paiutes and the Ivins Irrigation Company. The Ivins reservoir is one of the oldest in Washington County, Ivins Mayor Chris Hart said. “The reservoir was built more than 75 years ago,” he said. Years of neglect and fluctuating water levels have left the area unattractive and unused. However, during that time, quite a bit of wildlife habitat has also developed, which city officials want to retain, Hart said. The plan addresses both both recreation and wildlife habitat. The current plan for the reservoir will enhance outdoor recreation with a sand beach area; swimming, fishing and nonmotorized boating; picnic areas with shade pavilions; walking trails; and a wildlife refuge for bird watching. The plan includes a concession to be run by the Shivwits band to rent canoes and other nonmotorized watercraft. No motor boats will be allowed, and there are no plans for a boat ramp. “Right now our plan is, ‘If you can carry it to the water, you can use it in the water,'” Hart said. Because the reservoir is used to store irrigation water, the water level can fluctuate dramatically depending on the amount of rainfall and the time of year. This will be addressed by blocking off a 3-acre cove on the southwest side of the reservoir with a causeway, and maintaining a constant water level in that area. Water from Gunlock Reservoir will flow through a pipe and enter the cove first, and then flow into the rest of the Ivins Reservoir. This will maintain a clean environment for swimming, and help keep contaminants, like the parasite cercarial that causes swimmer’s itch, from getting into the cove. The reservoir will not consume any additional water, Water Conservancy District General Manager Ron Thompson said. 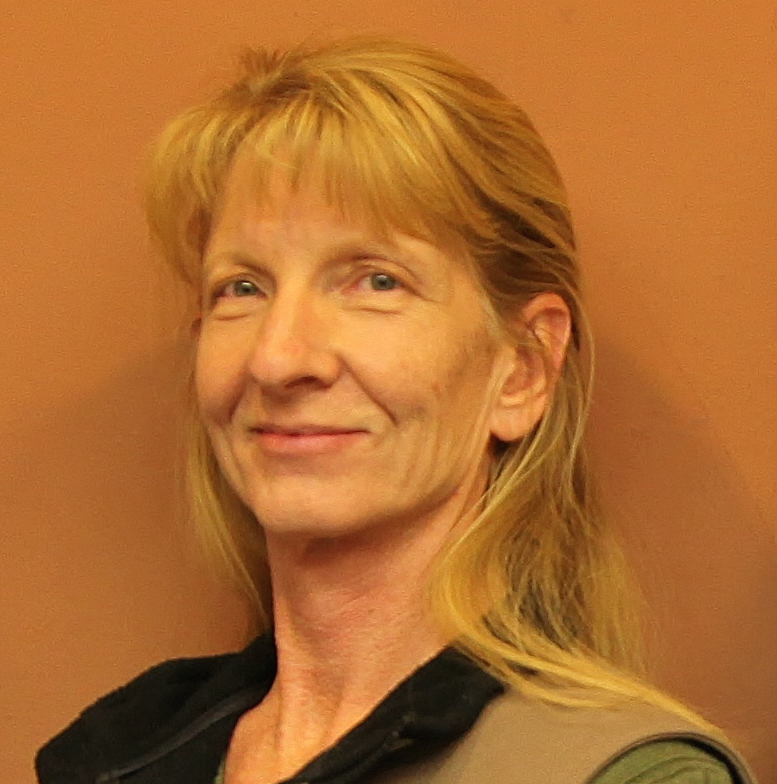 Thompson represented the county water district at the meeting. The wildlife habitat is located on the northern end of the reservoir, Hart said. The northern part of the reservoir will remain undeveloped except for a rough gravel path. “We want a quiet walking trail around the reservoir,” Hart said. After the formal presentation, members of the audience got a chance to ask questions and voice their opinions. Several questions were asked about bicycle access to the park, and bicycle safety while traveling on Highway 91 to and from the park. In the long term, Ivins City has acquired Highway 91 through Ivins’ boundaries, the mayor said. Eventually the city would like to put roundabouts at some of the intersections with Highway 91 and Ivins streets, and add a paved bike trail along the highway. “We are waiting for development to pay for it,” Hart said of the long-term plan. The city is also looking into other ways to fund a bicycle path along Highway 91, he said. Residents expressed concerns about park hours and law enforcement. When the plan is complete, the reservoir will become an Ivins City park, Hart said; law enforcement patrols would be handled by Santa Clara-Ivins Police Department. Several residents asked questions about lighting at the park – what type of lighting, and what time lights would go out. Ivins has a very restrictive light ordinance, and Kayenta has even more restrictive covenants, conditions and restrictions concerning outdoor lighting. Hart said that the lighting preferences would be respected. 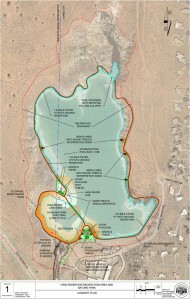 The new Ivins Reservoir recreation area will be funded by Ivins, the water district and the Shivwits band. Ivins residents can provide input on the current version of the park plan by picking up a comment form at the Ivins City offices. The proposal will eventually appear on the Ivins city agenda, and as the planning process proceeds, Hart said, there will be plenty of opportunity for public input. It’s about time they did something with this eyesore! Now, if we could just get rid of the idiots who are talking about more round-a-bouts, things would be good! I want more round a bouts its not my fault your an idiot and can’t figure out how to drive through one…. The description of its location is awkward and incorrect. It is not “…between Ivins proper and its Kayenta Community…” it is more accurately west of Kayenta, between Kayenta and the Shivwits reservation. One peek on Google and you can see there’s is nothing between Ivins and Kayenta but scrub. Roundabouts on Hwy 91? UDOT needs to just say “NO”!!! Ivins likes roundabouts as much as St. George. While roundabouts are not necessarily bad, the drivers around here are and they don’t mix. Don’t hinder Highway 91 with round-a-bouts. When I-15 has problems, this is the next best traveled roadway and heavy traffic with big rigs don’t mix very well with round-a-bouts. Developing this reservoir for recreation is a good idea but two questions: Will there be a guard shack like $now Canyon $tate Park? And, will dancing be allowed? Don’t you know everybody hates truckers anyway? Who cares how much trouble round-a-bouts are to them. Screwem all! Hey, will somebody smack ZONKERB up along side the head? I think his brain is stuck and needs to be reset!